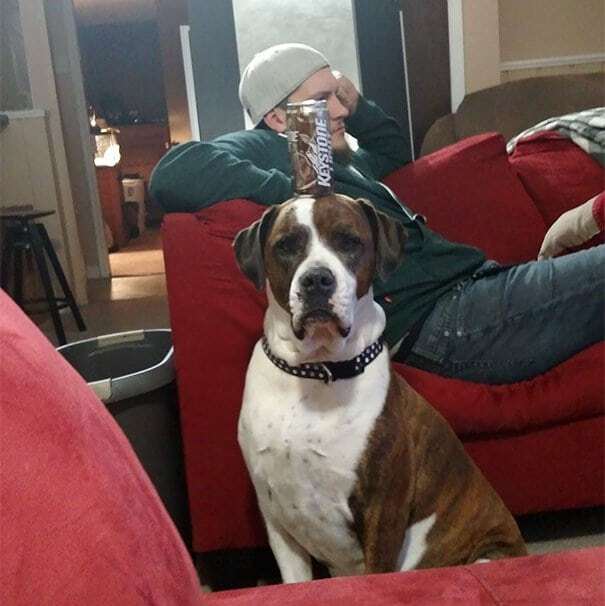 This pet owner asked his brother to dogsit. His brother sent him this pic and asked, “Am I doing it right?” Seems that the guy is looking for a butler, not a dog. Next thing you know he’ll teach the dog how to fetch his slippers, bring him the remote control and bark at burglars.